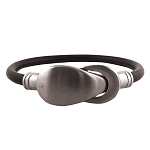 Women's leather bracelet with a plated antique silver magnetic clasp. The leather is 5 mm round. The leather colors available are black, brown, blue, bordeaux, green, red, tan, tangerine and turquoise. 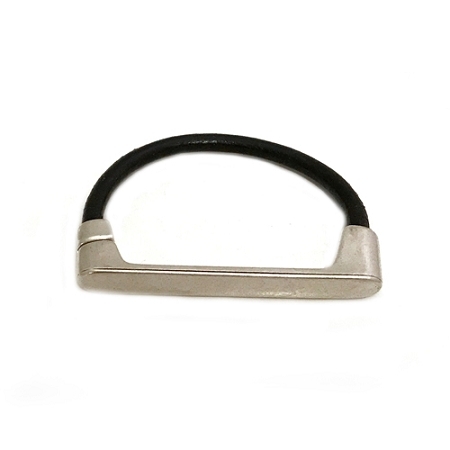 Please note the bracelet component cannot be engraved because it is plated and the plating will crack.